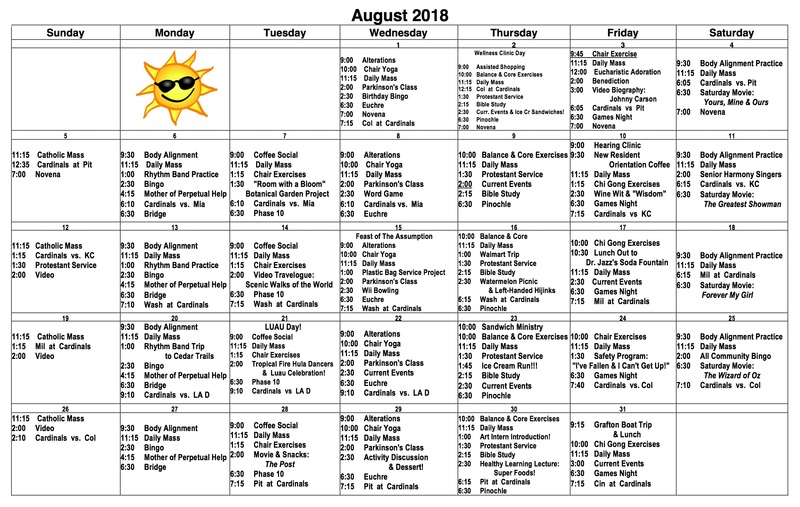 Click here to view and download the August Independent Living activities calendar. 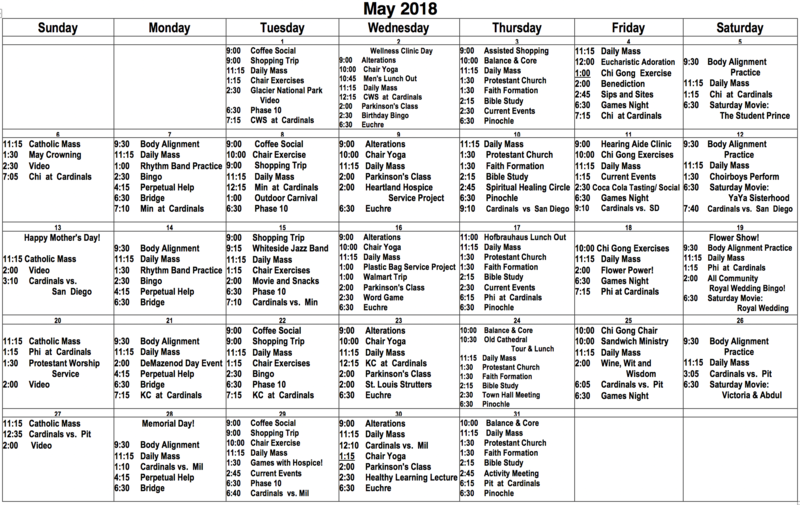 Click here to view and download the May Independent Living activities calendar. Click here to view and download the January Independent Living activities calendar. Click here to view and download the June Independent Living activities calendar. Click here to view and download the February Independent Living activities calendar. Click here to view and download the December Independent Living activities calendar.